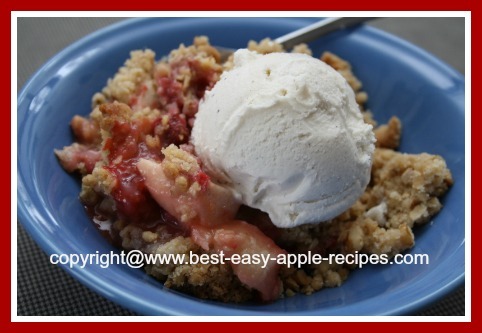 This Easy Apple Strawberry Crumble Recipe with oatmeal and nuts makes a delicious, healthy dessert idea using apples! If you have different types of berries on hand, for example raspberries or blueberries, you can easily substitute them for the strawberries - or make a mixed berries and apple dessert crumble! In a bowl, whisk together the oats, flour, brown sugar and the chopped walnuts. Using a pastry cutter, a fork, or your fingers(! 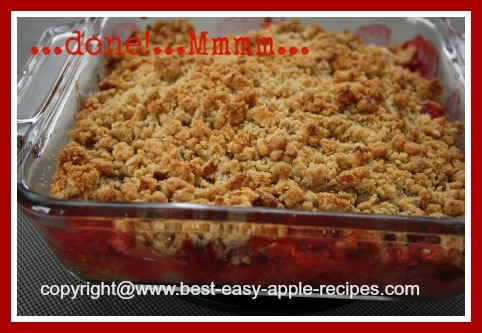 ), cut in the butter and mix together until the mixture resembles coarse crumbs. Core, peel and slice the apples, and chop into chunks. 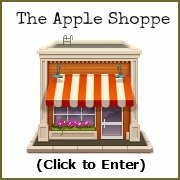 Add the 3 tbsp. sugar, the 2 tbsp. flour and the 1/4 tsp. of cinnamon into a bowl. 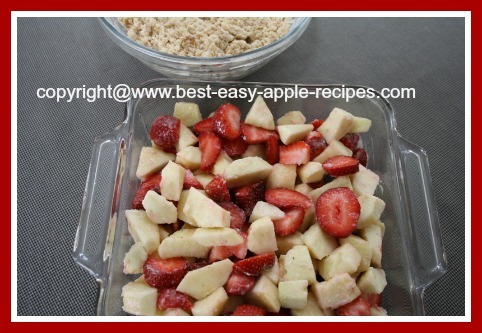 Add the sliced strawberries and the apple chunks to the bowl and toss to coat. Transfer the fruit to a greased 9" square baking dish. 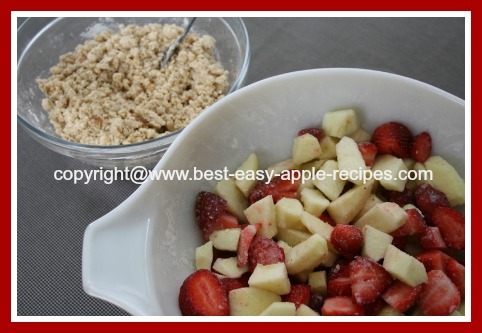 Sprinkle the crumble topping over top of the fruit. Bake at 375° F for about 25 minutes. 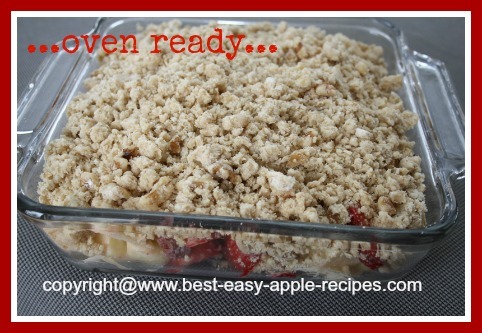 Reduce heat to 325° and bake for another 10 minutes, or until topping is golden and fruit is tender. 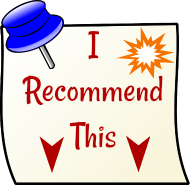 Serve warm or cool, plain, or topping with a dollop of ice cream, whipped cream, whipped dessert topping, or Greek yogurt. 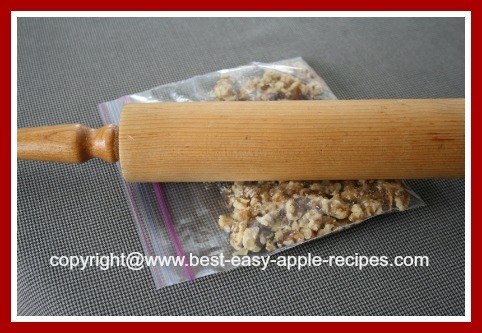 If your walnuts or pecans are not already chopped, simply place them between a folded piece of waxed paper, or inside a plastic bag, and roll over them with a pastry rolling pin! 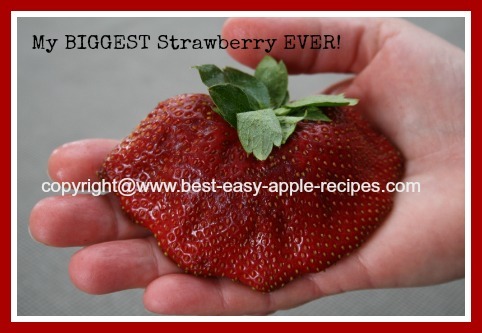 This is a picture of the biggest strawberry I have ever seen! 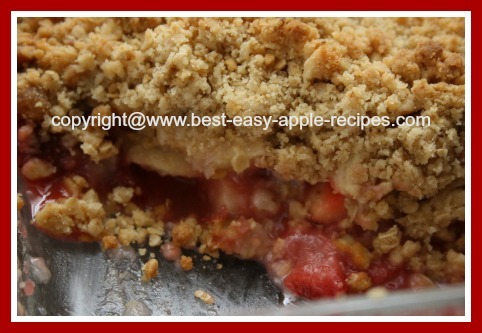 I found this huge strawberry in the bottom of the container of berries when I was preparing the ingredients for this Fruit Crumble.